Brain+Trust Partners' Tim Hayden and co-host Jay Acunzo talk artificial intelligence. Tim dives into his past and present work with larger organizations and innovative tech companies, and the guys discuss the hype around AI. What should executives be prepared to do in the near-term, and are we asking the right questions to get us there? The Difference is the show for big brand executives exploring one big question: In the digital age, why do some brands thrive while others struggle to survive? Each episode, the founders of Brain+Trust Partners tackle one big trend, technology, or change and explore the difference between succeeding and scuffling when trying to capitalize. Brain+Trust is an executive consultancy helping busy leaders make sense of customer behavior and data to drive results. 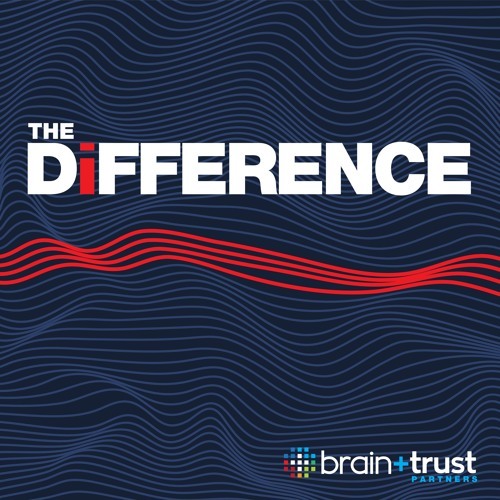 LINKS TO KNOW Visit Brain+Trust Partners to learn more about the firm: braintrust.partners Follow the firm on Twitter: https://twitter.com/yourbraintrust This podcast is a production of Unthinkable Media.